In what might be Rocky Mountain National Park's most coloful bird, a Western Tanager makes a quick stop on a perch along the Bierstadt Moraine before it will lit off onto its next tree. 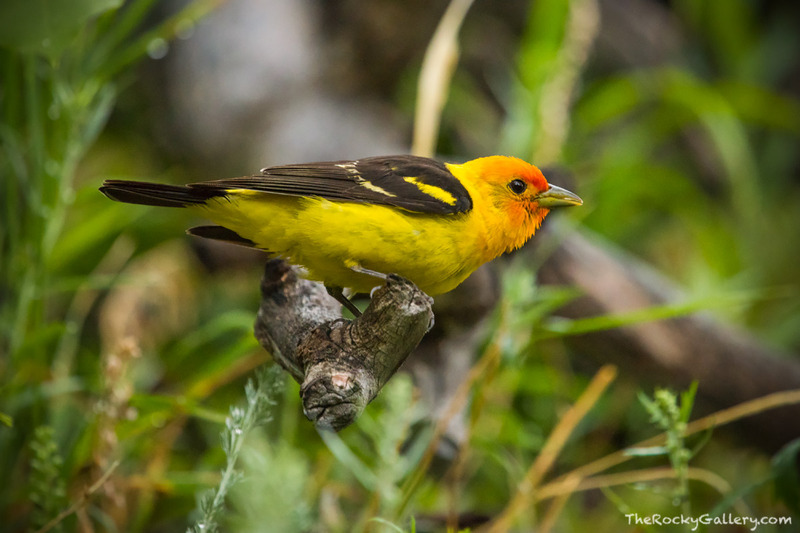 These beautiful birds can usually be found in the ponderosa forests of Rocky Mountain National Park flying from tree to tree. They dont stick around long but they are hard to miss when one catches a glimpse of their beautiful coloration. Photo © copyright by Thomas Mangan.